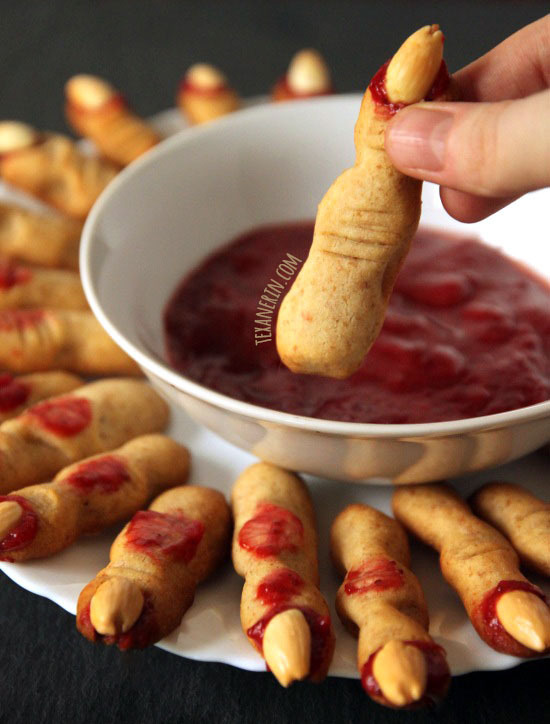 These whole wheat witch fingers use jam in place of food coloring! Not only are they healthier with whole wheat flour, but they taste great!! Preheat your oven to 325°F (165°C). 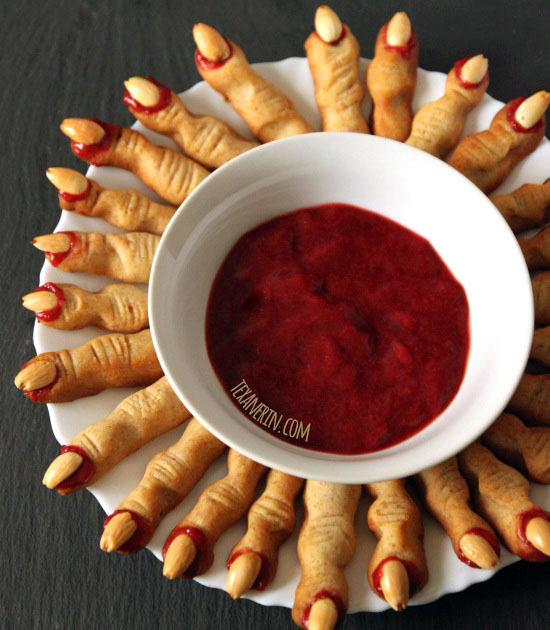 Take about a fourth of the dough out of the fridge and begin rolling out the fingers. I rolled them out the size of my pinky, both in length and thickness. Add an almond to the tip for the fingernail and press down to make sure it’s secure. Form a knuckle by squeezing (see the picture above!) and then use a knife to make some creases. Place on a Silpat on a cookie sheet (or just a cookie sheet), leaving about a centimeter between them. Repeat with the rest of the dough until the cookie sheet is full.